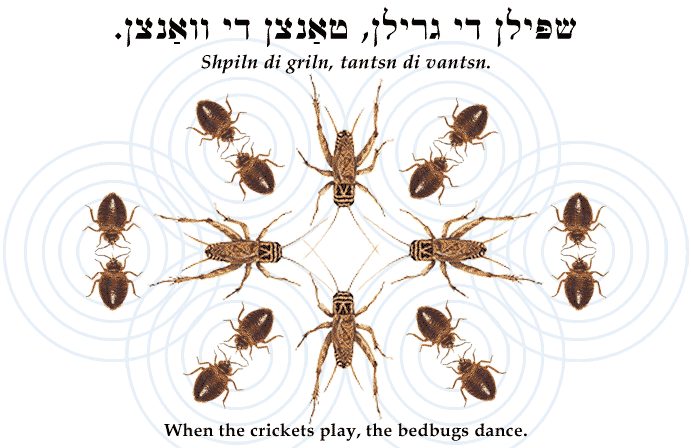 Yiddish Wit: When the crickets play, the bedbugs dance. ‏שפּילן די גרילן, טאַנצן די וואַנצן. Shpiln di griln, tantsn di vantsn. When the crickets play, the bedbugs dance. Response when one is told something nonsensical or absurd. SOURCE: Bernstein, Jüdische Sprichwörter und Redensarten.